Orseund Iris Steps Outside Typical Fashion Conventions With This Collection — Carrie Nelson & Co. Always serving up styles that aren’t based on conventional trends or seasons, there’s no denying that New York based label, Orseund Iris knows how to make a style statement. Just check out their latest collection, “Scarlett” in order to understand what we’re talking about. 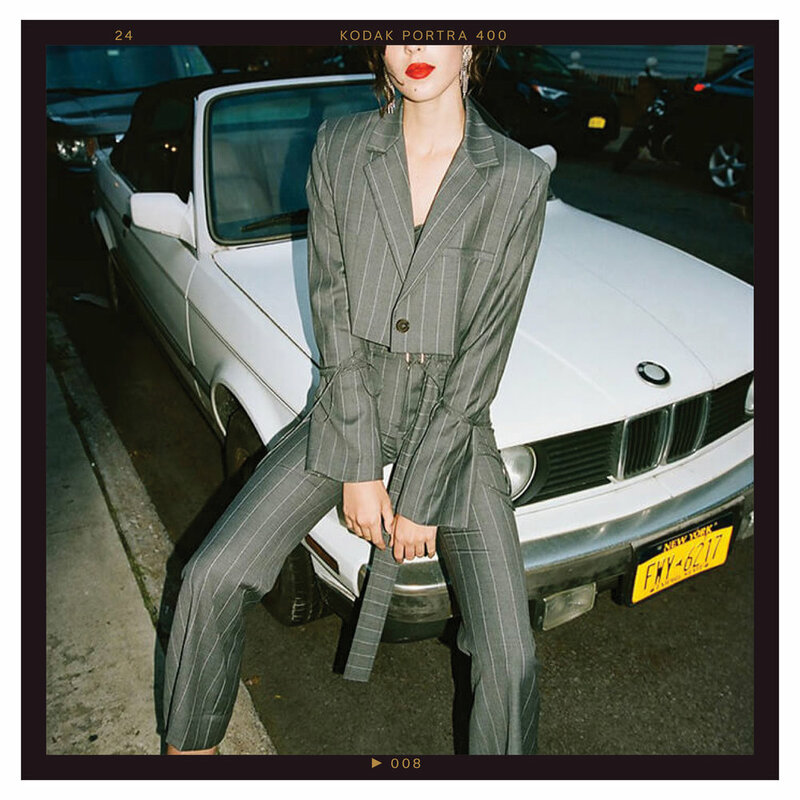 In it, you’ll find ‘80s inspired pin stripes and pantsuits, crimson red trench coats, corset lace up style mini skirts, barely there bra tops, and even some basic light wash denim. Together, this combo of styles really don’t seem to have much in common at first glance. It’s the desire to shy away from conventions, and designing styles that look good, regardless of what trends are telling us, that tie all these pieces together. These are styles for women who want something a little different from their everyday wardrobe. They don’t want to be put into a box, and they’re not afraid to experiment with their style. If this is you, we highly recommend checking out Orseund Iris, and all their statement making pieces.